– Easy install, no more hyperflashing, quick & simple! 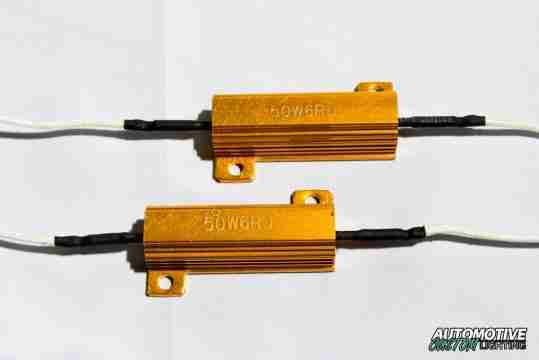 – Simply tap the load resistor in between the turn signal light bulb’s postive and negative wire and this will solve LED related turn signal problems such as hyper flashing, no flashing or burnt out bulb indications. – One resistor is required for each LED turn signal bulb. – Connect one wire to ground and the other wire to the turn/brake wire. You can use the T taps so you do not have to cut your car’s wiring. One load resistor is required for each turn signal bulb.